The large woman the reflection and and the old tram make a wonderful association. I like the color version too. It’s hard to choose. I love the way you find advertising features and make them almost more real than reality! 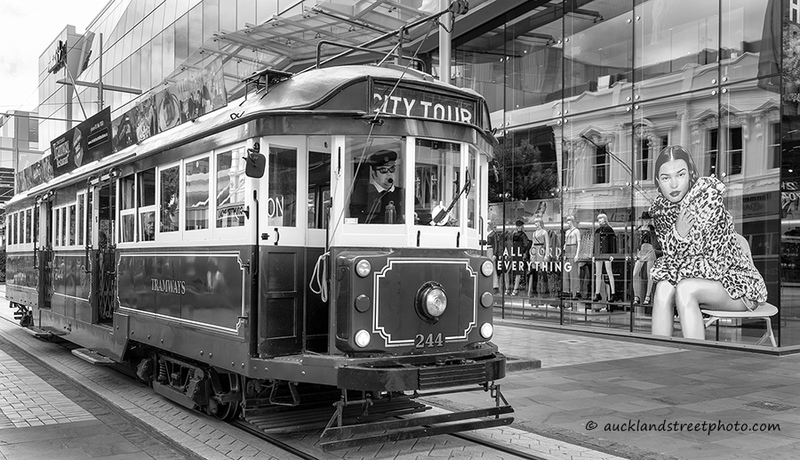 The tram looks almost like a toy. …my eye is drawn to the larger than life women.